Here’s a fast (gluten free) weeknight dinner, BBQ dish, or pool party recipe that is sure to please everyone in the family. 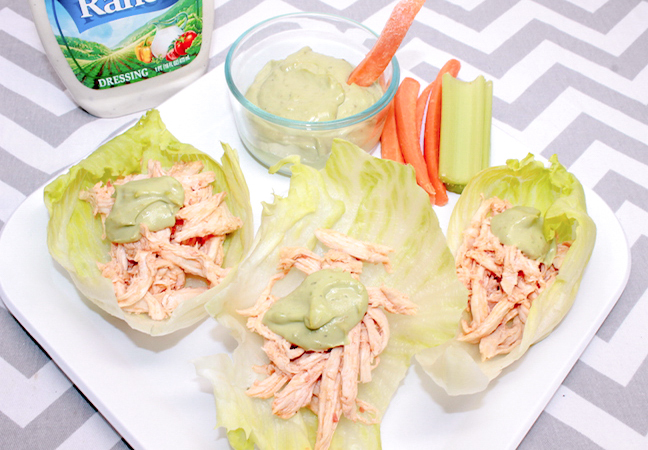 The best part of these Buffalo chicken lettuce wraps with avocado Hidden Valley Original Ranch is that you don’t even have to turn on the oven and heat up the house. Step 1: Shred 5 cups of rotisserie chicken and place into a bowl. 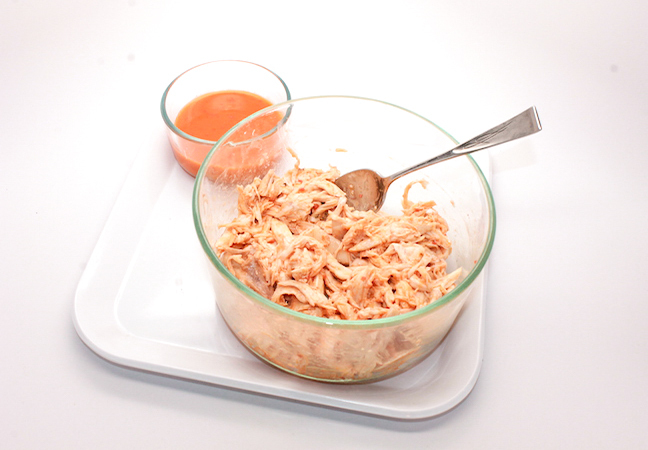 Step 2: Pour ⅓ cup of buffalo wing sauce into the chicken and mix thoroughly. 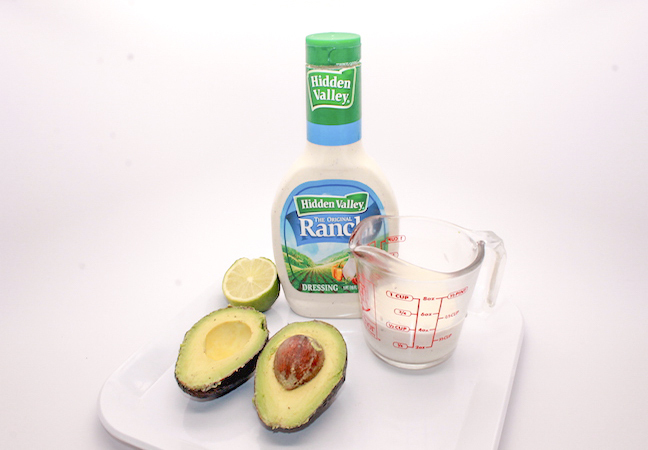 Step 3: Blend together ½ cup of Hidden Valley® Original Ranch® Dressing with two small avocados and juice from one lime. 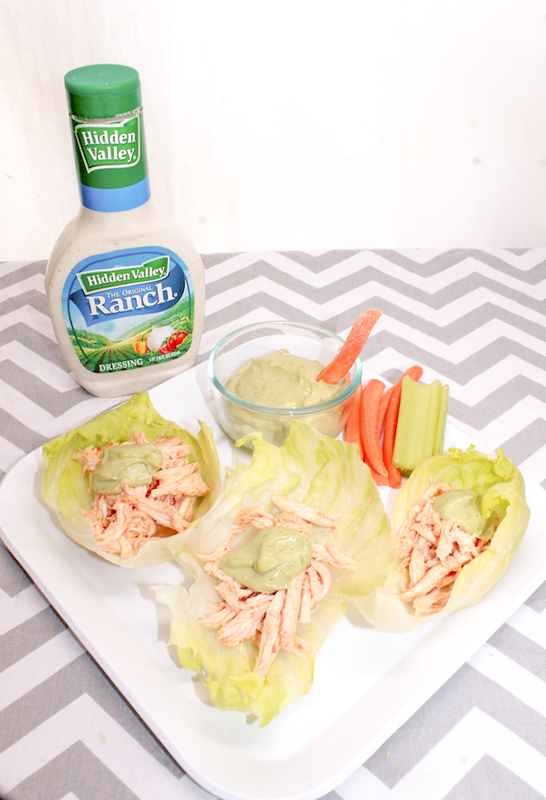 Step 4: Peel off lettuce pieces from the bunch and place some buffalo chicken on top. Then add a dollop of the avocado dressing. 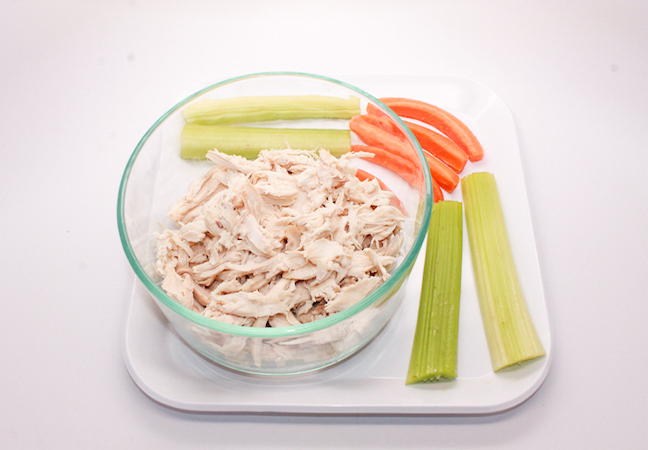 Use the leftover dressing to dip carrots and celery sticks in.